We work with all the top-rated manufacturers in the country: Metal Industries, Vinyl-Max, Vytex, Certainteed, Simonton, Andersen, Pella and many others. Every customers' needs are different so we will work with you to pick the right one. Along with the manufacturer’s lifetime transferable warranty, we offer an extended warranty covering both product AND labor for life. It is one of the most comprehensive warranties in the industry. What are Energy Star, NFRC & AAMA certifications and are you certified with them? Our products are all certified with each organization. Why is there such a big difference in prices with an average sized window? They all look and operate the same but I’ve seen prices ranging from $250 - $1000 per unit. Frame construction – Window frames should be welded together at all corners. Lower quality windows will be fastened or glued at the corners. Vinyl – Not all vinyl is the same. A quality frame will be made from 100% pure vinyl. A cheaper alternative often used is a combination of pure vinyl and recycled plastics. Although this is less expensive, the recycled plastics discolor and warp after time. Custom fitting – Look for custom fitting of at least 1/4” instead of just a stock / standard size. Glass options – Windows come with either two or three panes of glass. Additional options are Low E and argon or krypton gas. 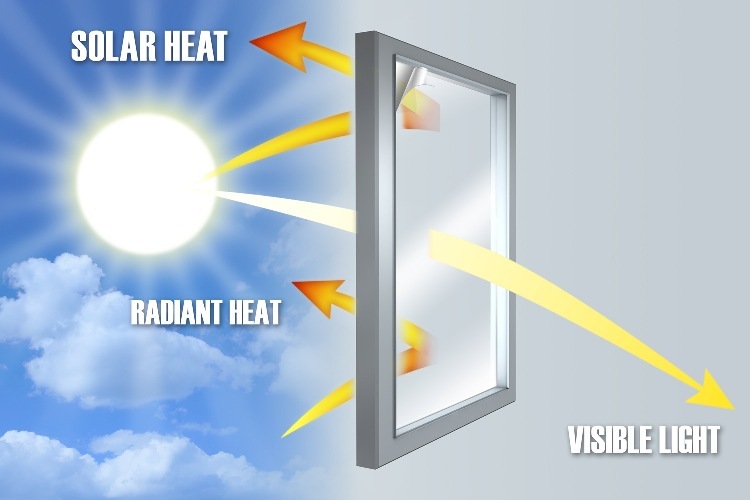 Seal – Glass units in all windows have to be sealed. Once the seal breaks, air can be trapped inside and cause condensation and moisture build-up. There are many materials that can be used for a sealant. A good sealant should be rubber based with a high melting point, like a butyl-melt. Warranty – There are several things to look for in a warranty. Frame, operating parts, glass and labor. What is Low E, argon & krypton? Krypton – Three times heavier than air, it is the optimum gas for energy efficiency. The combination of Low E and argon or krypton will help reflect heat. Keeping your house cooler in summer and warmer in winter.